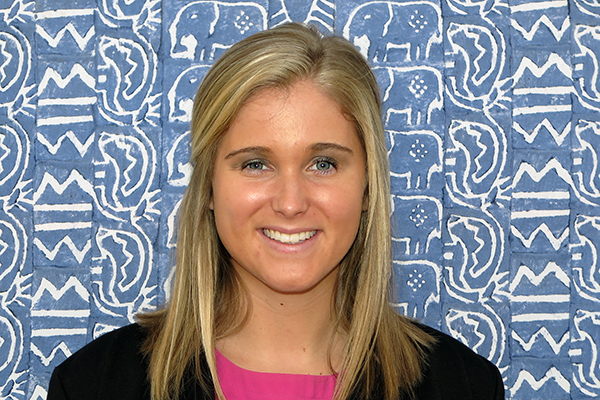 Pack for a Purpose is delighted to welcome our newest intern, Elizabeth Hodges! Elizabeth discovered Pack for a Purpose on ePack while searching for an internship. Elizabeth interviewed for several internships before choosing to intern at Pack for a Purpose. Elizabeth expressed that, after all the interviews, Pack for a Purpose was the best fit for her because the work she would be doing addressed her desire to be impactful. Elizabeth generously offered to start her internship in December so we would have no gap in interns. There is always work to be done at PfaP and her willingness to start her internship early was extremely helpful. Elizabeth brings her background and skills in public relations and art and design to the Pack for a Purpose team, and is excited to do her part to benefit Pack for a Purpose this semester. Elizabeth writes and edits content on the website, edits and uploads photos through Photoshop, and maintains communication via email between PfaP and its participants. Elizabeth has worked for the NC State Technician as a member on the design team where she designed the layout of the newspaper, created advertisements, and gained technical experience in design. The skills she learned at the Technician now benefit her work at Pack for a Purpose. Elizabeth is currently a senior at North Carolina State University and will graduate in May with a degree in Communication with a concentration in Public Relations. She wants to find a job in Entertainment PR. While Elizabeth has not travelled much yet, she hopes to backpack through Europe in the near future.